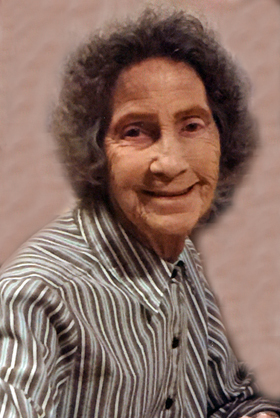 Graveside services are scheduled for 10 a.m. Monday, Jan. 18, at Woodbine Cemetery for Odessa Marie Tucker. Tucker, 75, went to her heavenly home Thursday, Jan. 14, 2016, at Good Life Senior Living. Pastor Kenneth C. Heck will officiate at the services. Pallbearers will be her grandsons. Odessa was born in Otis, the daughter of Winston Wayne and Virginia (Davis) Starr. She was a longtime resident of the area. On Dec. 14, 1957, she married Conrid Eugene “Arkie” Tucker in Lovington. She was a beloved mother, grandmother and great-grandmother. She was a faithful member of the Centre Avenue Baptist Church and a homemaker. Her family was her most precious treasure. Survivors include daughters Anita Shannon and husband Mike, Genia Hickey and husband Montie, and Diane Davis and husband Dennis, all of Artesia; three brothers, Cactus Starr and wife Sharon of Artesia, Auston Starr of Truth or Consequences, and Sam Starr and wife Roberta of San Jose, Calif.; grandchildren Jonathan Shannon and wife Rachelle, Josh Shannon and wife Alicia, Ryan Hickey, Brandon Davis and wife Tashia, Kimberly Rodriguez and husband Jonathan, and Jarrod Davis and Montana, all of Artesia; and nine great-grandchildren. She was preceded in death by her husband, Arkie Tucker, on Oct. 25, 2005; and her parents. Memorial contributions may be made to the Alzheimer’s Association, 9500 Montgomery Blvd. NE, Ste. 121, Albuquerque, N.M., 87111.